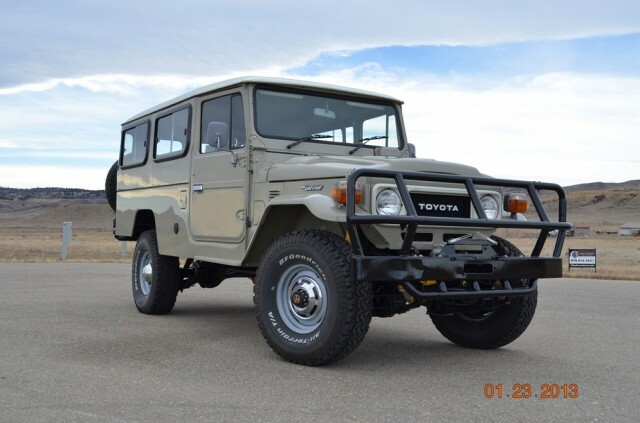 Via West County Explorers Club: The seller states that this right-hand-drive, 1984 Toyota FJ45 Troopy started its life in Australia where it racked up only 127,000 km (~79, 400 miles). In 2011, it was legally imported into the U.S. and given a ground-up, frame-off restoration during which the frame and body were stripped, chemical dipped, and epoxy sealed. The frame was then painted with POR-15, and the body got a fresh respray. Truck has clocked 600 km (~375 miles) since then. 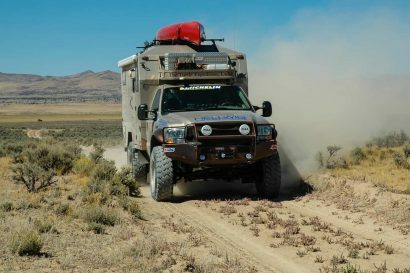 The seller also reports that the engine, the venerable 4.2-liter 2F, was rebuilt, balanced, blueprinted, and fitted with a dual-fuel (gasoline/propane system). 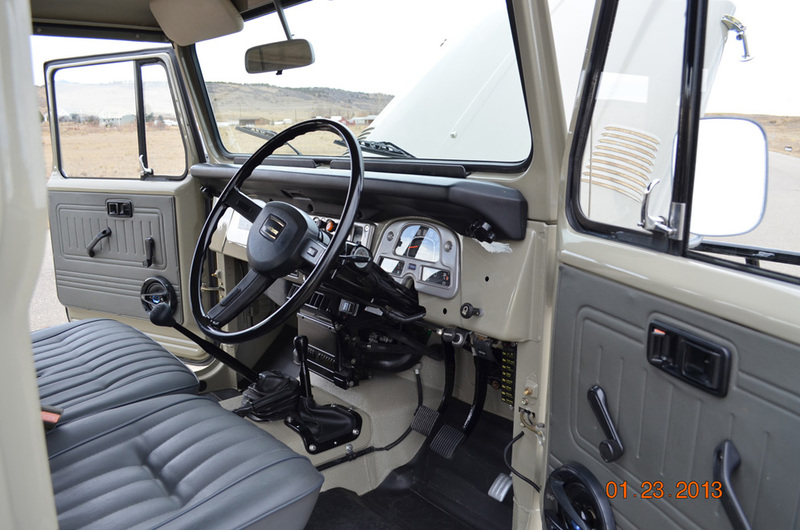 A new H55F, 5-speed manual transmission was fitted and mated to custom drive shafts. The suspension is an Old Man Emu system, fitted with heavy springs, and greasable shackles and spring pins. The addition of custom sway bars are said to virtually eliminate body roll while cornering. The seller further reports that the axles, differentials and transfer case have all been refreshed with new Toyota parts. 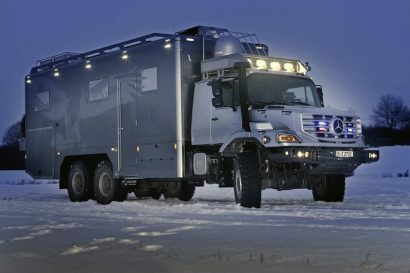 Six new 33″ BFGs round out the picture — no pun intended. 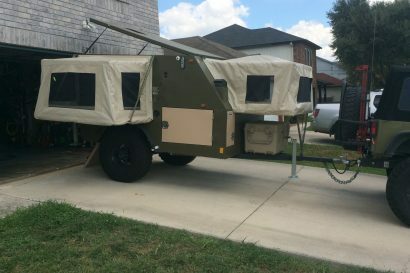 The cost of this beige beauty with comfortable seating for ten? Significantly less than cost of the restoration at $55,000. 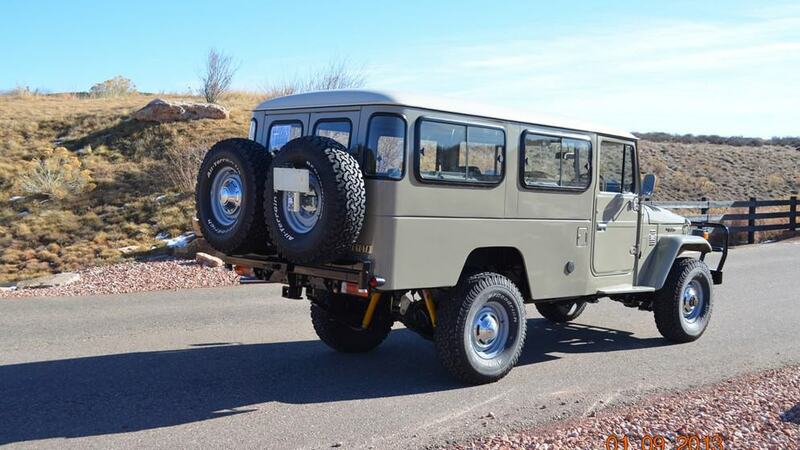 Given what restored FJ40s have been selling for at auction lately, this Troopy seems like quite a deal. More photos below or read the whole story and see more photos on the WCXC post.